Here is an example of a poorly written Cover Letter. A Cover Letter should accompany your resume and it really helps if it is written properly. I see these common mistakes being made over and over, by good people that have used poor judgement. It's a shame and it shouldn't reflect ones abilities, but first impressions mean a great deal. The second example I give is much more accommodating to a potential employer. Both letters are brief. A Cover Letter doesn't have to be complicated or overpowering. However, it should show your intellect, character and capabilities regarding the position you are applying for, in the best possible light. Hope it helps! I think I would be a good person for you to hire for the job of Receptionist as advertised by your company. I can work hard and have a good education. I have lots of skills which would be good to use in your company environment, especially in the office work such as filing and other things that are necessary. People tell me I am friendly and that I have a nice way of doing business with the public and my co-workers. Please contact me using the information I have listed below. I am interested in applying for the position of Receptionist, as advertised by your company. I am a hard worker with quite an extensive educational background. Over the years I have accumulated many skills relating to the Secretarial/Receptionist duties that are essential for an office to run productively. I am friendly and have a calm, non-confrontational demeanor. My easy-going temperament provides speed and efficiency while taking care of tedious office procedure. 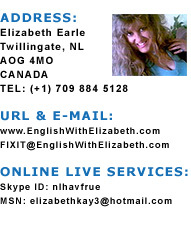 Please contact me at your first convenience, using my personal information I have listed below.